VIA introduces the VE-900, a new Mini-ITX motherboard with the company's 1.4GHz Nano X2 dual-core processor. The board is sold online for $89. VIA Technologies, Inc, a leading innovator of power efficient x86 processor platforms, today announced the VIA VE-900 Mini-ITX Mainboard, immediately available worldwide at incredibly competitive pricing. The VIA VE-900 Mini-ITX provides the ideal platform for DIY enthusiasts to custom build stylish home desktop and media center PCs. Featuring a high-performance 1.4GHz VIA Nano™ X2 dual core processor and the VIA VX900 unified all-in-one media system processor, the VIA VE-900 Mini-ITX Mainboard delivers a highly optimized platform that boasts stunning HD video performance of the most demanding video formats at resolutions of up to 1080p. The VIA VE-900 Mini-ITX also supports high fidelity surround sound through the VIA VT1708S HD audio codec which delivers amazing stereo 24-bit resolution and up to 192kHz sample rates and adds HDMI support in a compact, power-efficient package. "November 6th marked the 10 year anniversary of the Mini-ITX form factor which spurred a revolution in the modding community," said Richard Brown, Vice President of Marketing, VIA Technologies, Inc. "The VIA VE-900 delivers an affordable, high performance Mini-ITX mainboard that will spur a new wave of inspiration and innovation in the next generation of enthusiasts." 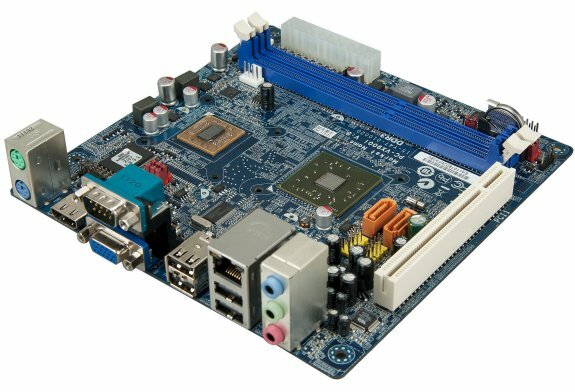 The VIA VE-900 Mini-ITX Mainboard, measuring 17cm, x 17cm, pairs a 1.4 GHz VIA Nano™ X2 CPU with the VIA VX900 MSP. In addition to enabling support for up to 8GB of DDR3 system memory, the VIA VX900 MSP features the latest ChromotionHD 2.0 video engine, boasting comprehensive hardware acceleration for the latest VC1, H.264, MPEG-2 and WMV9 HD formats at screen resolutions of up to 1080p without incurring a heavy CPU load. Display connectivity support includes onboard HDMI and VGA. Rear panel I/O includes a Gigabit LAN port, HDMI port, VGA port, four USB 2.0 ports, one PS/2 K/B and M/S port, one serial port and three audio jacks for line-out/in/Mic-in. An onboard PCI slot is accompanied with 2 SATA pin headers, four USB 2.0 ports and LPT support.